Tesla Blade 24 RTA provides incredible vapor production and the best flavor. It features unique bottom internal structure to ensure zero leaking. 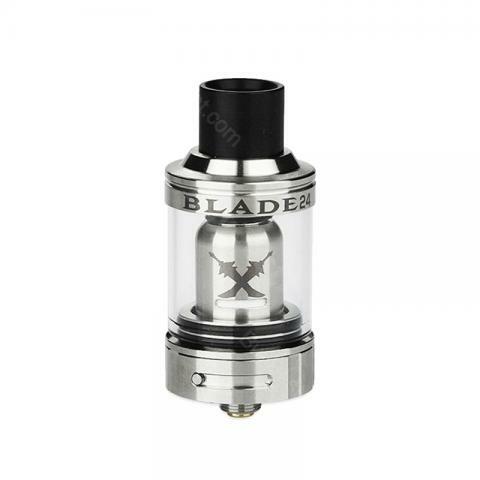 If you want to enhance your vaping experience, the Tesla Blade 24 Tank is perfect for you. Tesla Blade 24 RTA provides incredible vapor production and the best flavor. It features unique bottom internal structure to ensure zero leaking. The capacity is 2.5ML when using 0.25Ω dual coils and 3.0ML when using 0.5Ω single coil. If you want to enhance your vaping experience, the Tesla Blade 24 Tank is perfect for you. • "Easy to fill" top filling system. • It doesn't come with e-liquids. Tesla blade that's a good name lol. Awesome rta with no leakage. I'm enjoying my new blade 24 rta with my favorite mint juice. Very tasty and huge cloud as well. I'm in love!